What would you think of a promotional product that not only looks good when decorated with a logo but has the outstanding performance characteristic of being virtually unbreakable? A product tirelessly promoting your company's name long after comparatively priced promotional products have lost their charm, broken or been banished to some dark corner as a dust collector. 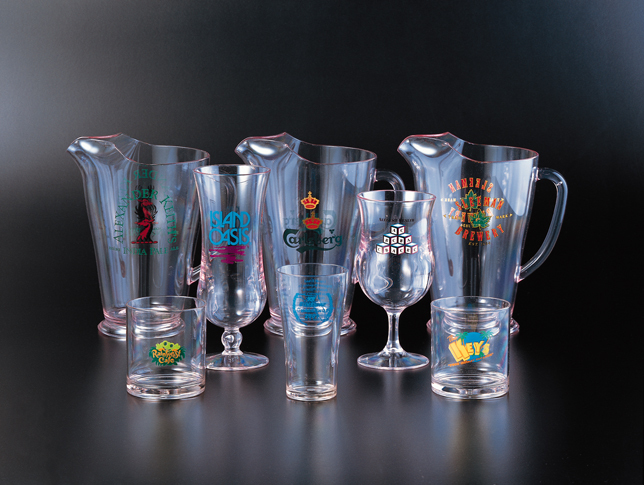 The Global Wombat range of Shatterproof and Break Resistant glassware is the ideal promotional item. Used over and over it will have your company's name at your customer's fingertips whenever they take a drink. Let Global Wombat put together a professional print program using product from its extensive range to satisfy your company's needs. Global Wombat offers a professional pad printing service on most of the products within its range. Please contact us with your requirements and we will do our utmost to offer you a product that will look great and become the focal point of any event or promotional program.